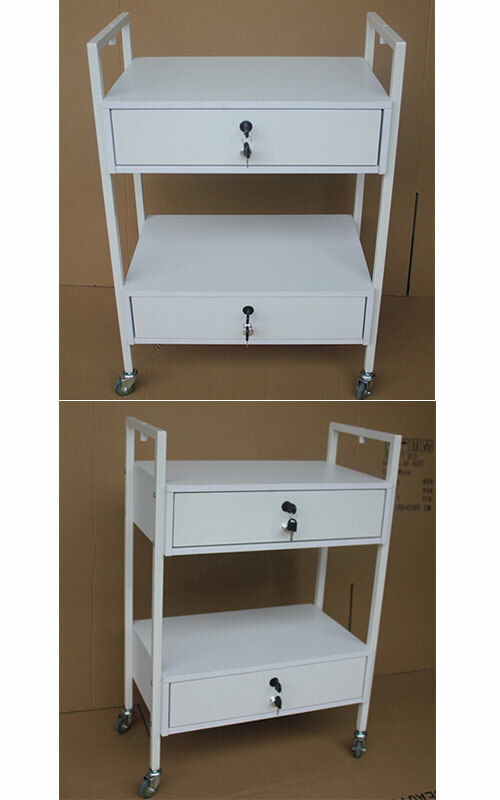 1) Beauty salon trolley with two drawers. 3) Have magnifier lamp hole function. 4) Have two braker wheels, easy moving and stop on the floor.